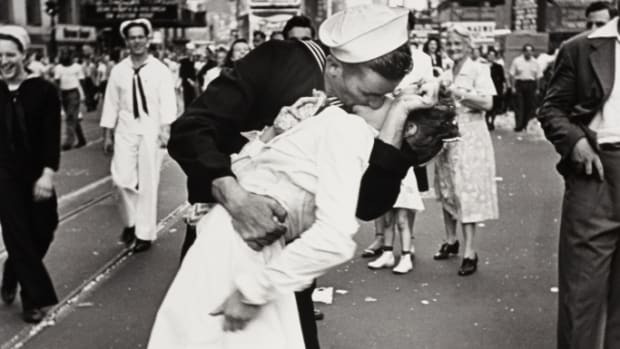 After the December 7, 1941, Japanese attack on the American naval fleet at Pearl Harbor, Hawaii, the U.S. was thrust into World War II (1939-45), and everyday life across the country was dramatically altered. Food, gas and clothing were rationed. Communities conducted scrap metal drives. To help build the armaments necessary to win the war, women found employment as electricians, welders and riveters in defense plants. 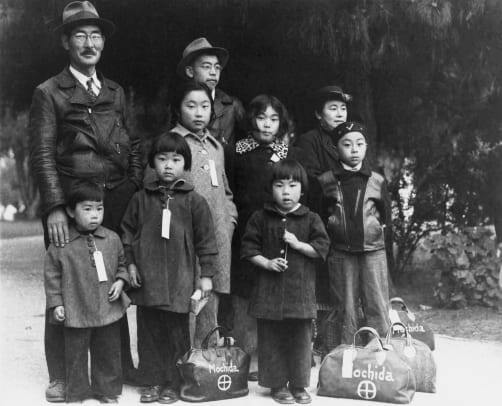 Japanese Americans had their rights as citizens stripped from them. People in the U.S. grew increasingly dependent on radio reports for news of the fighting overseas. And, while popular entertainment served to demonize the nation’s enemies, it also was viewed as an escapist outlet that allowed Americans brief respites from war worries. On December 7, 1941, the U.S. was thrust into World War II when Japan launched a surprise attack on the American naval fleet at Pearl Harbor. The following day, America and Great Britain declared war on Japan. 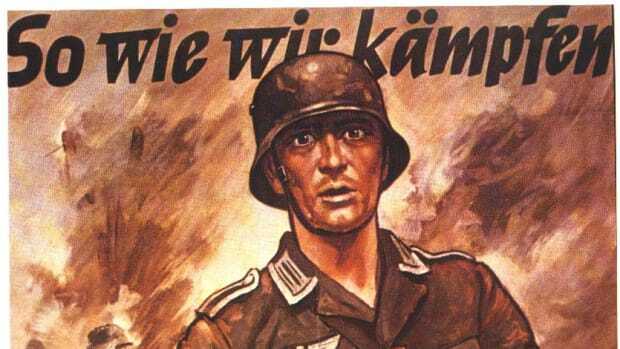 On December 10, Germany and Italy declared war on the U.S.
Did you know? 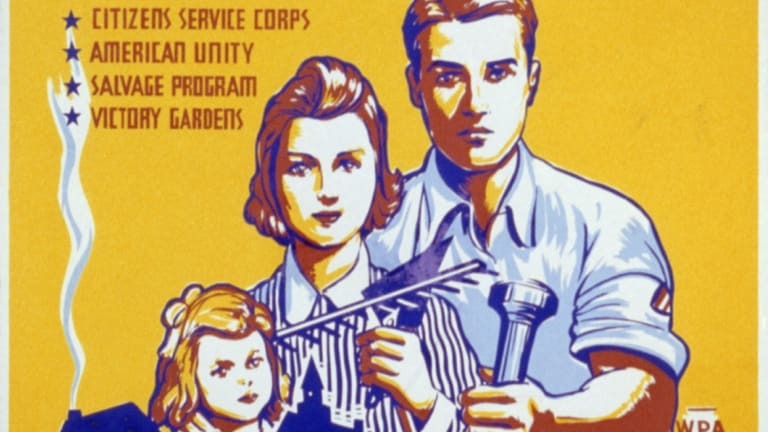 During World War II, as an alternative to rationing, Americans planted “victory gardens,” in which they grew their own food. By 1945, some 20 million such gardens were in use and accounted for about 40 percent of all vegetables consumed in the U.S. In the earliest days of America’s participation in the war, panic gripped the country. 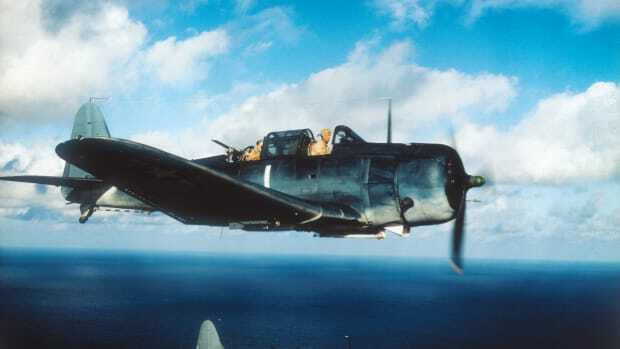 If the Japanese military could successfully attack Hawaii and inflict damage on the naval fleet and casualties among innocent civilians, many people wondered what was to prevent a similar assault on the U.S. mainland, particularly along the Pacific coast. This fear of attack translated into a ready acceptance by a majority of Americans of the need to sacrifice in order to achieve victory. During the spring of 1942, a rationing program was established that set limits on the amount of gas, food and clothing consumers could purchase. Families were issued ration stamps that were used to buy their allotment of everything from meat, sugar, fat, butter, vegetables and fruit to gas, tires, clothing and fuel oil. 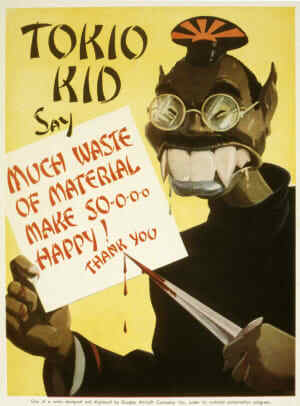 The United States Office of War Information released posters in which Americans were urged to “Do with less–so they’ll have enough” (“they” referred to U.S. troops). Meanwhile, individuals and communities conducted drives for the collection of scrap metal, aluminum cans and rubber, all of which were recycled and used to produce armaments. 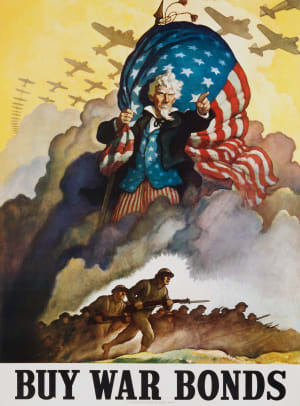 Individuals purchased U.S. war bonds to help pay for the high cost of armed conflict. From the outset of the war, it was clear that enormous quantities of airplanes, tanks, warships, rifles and other armaments would be essential to beating America’s aggressors. 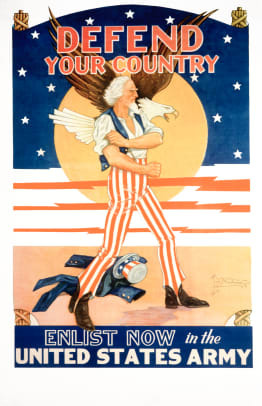 U.S. workers played a vital role in the production of such war-related materials. Many of these workers were women. 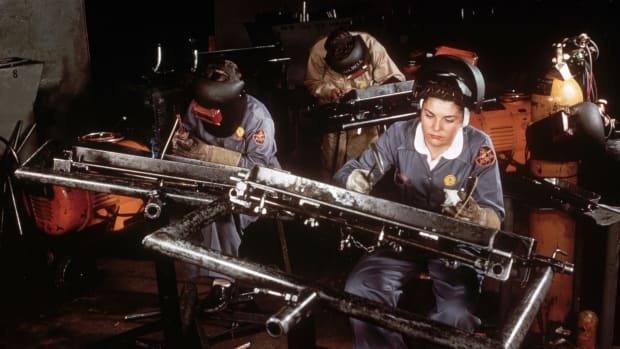 Indeed, with tens of thousands of American men joining the armed forces and heading into training and into battle, women began securing jobs as welders, electricians and riveters in defense plants. Until that time, such positions had been strictly for men only. A woman who toiled in the defense industry came to be known as a “Rosie the Riveter.” The term was popularized in a song of the same name that in 1942 became a hit for bandleader Kay Kyser (1905-85). Soon afterward, Walter Pidgeon (1897-1984), a Hollywood leading man, traveled to the Willow Run aircraft plant in Ypsilanti, Michigan, to make a promotional film encouraging the sale of war bonds. One of the women employed at the factory, Rose Will Monroe (1920-97), was a riveter involved in the construction of B-24 and B-29 bombers. Monroe, a real-life Rosie the Riveter, was recruited to appear in Pidgeon’s film. During the war years, the decrease in the availability of men in the work force also led to an upsurge in the number of women holding non-war-related factory jobs. 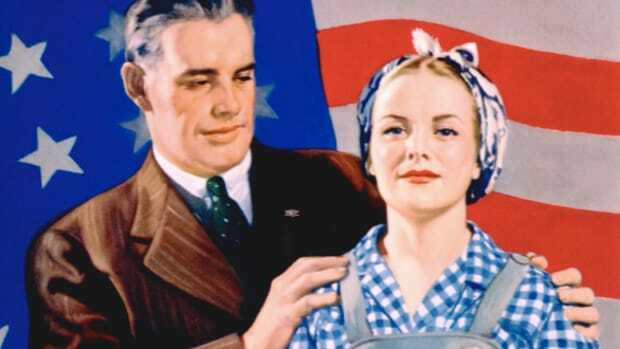 By the mid-1940s, the percentage of women in the American work force had expanded from 25 percent to 36 percent. 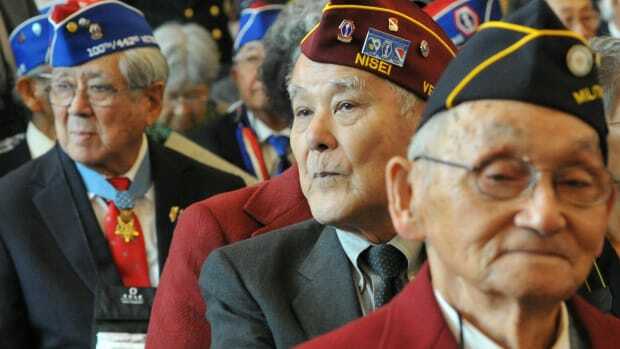 Not all American citizens were allowed to retain their independence during World War II. Just over two months after Pearl Harbor, U.S. President Franklin Roosevelt (1882-1945) signed into law Executive Order 9066, which resulted in the removal from their communities and the subsequent imprisonment of all Americans of Japanese descent who resided on the West Coast. Executive Order 9066 was the offshoot of a combination of wartime panic and the belief on the part of some that anyone of Japanese ancestry, even those who were born in the U.S., was somehow capable of disloyalty and treachery. 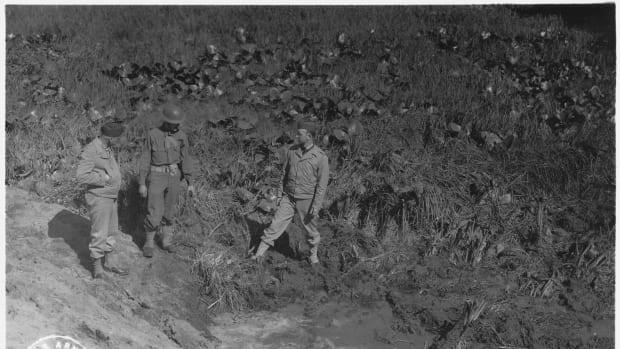 As a result of the order, nearly 120,000 Japanese Americans were dispatched to makeshift “relocation” camps.Despite the internment of their family members, young Japanese-American men fought bravely in Italy, France and Germany between 1943 and 1945 as members of the U.S. Army’s 100th Battalion, 442nd Infantry. By the end of the war, the 100th had become the most decorated combat unit of its size in Army history. 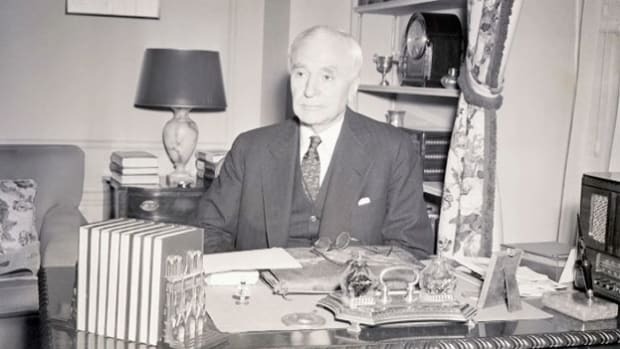 In January 1942, Kenesaw Mountain Landis (1866-1944), the national commissioner of baseball, wrote a letter to President Roosevelt in which he asked if professional baseball should shut down for the duration of the war. In what came to be known as the “green light” letter, Roosevelt responded that professional baseball should continue operations, as it was good for the country’s collective morale and would serve as a needed diversion. During the war, 95 percent of all professional baseball players who donned major league uniforms during the 1941 season were directly involved in the conflict. Future Hall of Famers Bob Feller (1918-), Hank Greenberg (1911-86), Joe DiMaggio (1914-99) and Ted Williams (1918-2002) exchanged their baseball jerseys for military fatigues. Feller, in fact, enlisted in the U.S. Navy one day after Pearl Harbor. Because baseball was depleted of so many able bodies, athletes who otherwise likely never would have made the big leagues won spots on rosters. One of the more notable was Pete Gray (1915-2002), a one-armed outfielder who appeared in 77 games for the St. Louis Browns in 1945. Not all those who served in the military were superstars. Elmer Gedeon (1917-44), an outfielder who appeared in five games for the 1939 Washington Senators, and Harry O’Neill (1917-45), a catcher who played in one game for the 1939 Philadelphia Athletics, were the two big leaguers who died in combat. Over 120 minor leaguers also were killed. Other players overcame debilitating wartime injuries. One was Bert Shepard (1920-2008), a minor league pitcher turned air force fighter pilot. In 1944, Shepard’s right leg was amputated after he was shot down over Germany. The following year, he pitched three innings for the Washington Senators in a major league game. Throughout World War II, American moviegoers were treated to a steady stream of war-related programming. The movie-going experience included a newsreel, which lasted approximately 10 minutes and was loaded with images and accounts of recent battles, followed by an animated cartoon. While many of these cartoons were entertainingly escapist, some comically caricatured the enemy. Among these titles were “Japoteurs” (1942) featuring Superman, “Der Fuehrer’s Face” (1943) starring Donald Duck, “Confessions of a Nutsy Spy” (1943) with Bugs Bunny, “Daffy the Commando” (1943) with Daffy Duck and “Tokyo Jokie-o” (1943). Documentaries such as the seven-part “Why We Fight” series, released between 1943 and 1945 and produced and directed by Academy Award-winning filmmaker Frank Capra (1897-1991), included Axis propaganda footage and emphasized the necessity of America’s involvement in the war, as well as the importance of Allied victory. As for the main program, movie theaters showed non-war-related dramas, comedies, mysteries and Westerns; however, a significant segment of feature films dealt directly with the war. Scores of features spotlighted the trials of men in combat while demonizing the Nazis and Japanese who perpetuated the conflict. “Wake Island” (1942), “Guadalcanal Diary” (1943), “Bataan” (1943) and “Back to Bataan” (1945) were a few of the titles that centered on specific battles. “Nazi Agent” (1942), “Saboteur” (1942) and “They Came to Blow Up America” (1943) portrayed America’s enemies as spies and terrorists. “So Proudly We Hail!” (1943) and “Cry ‘Havoc&apos;” (1943) recorded the heroics of women nurses and volunteers at faraway battlefronts. “Tender Comrade” (1943), “The Human Comedy” (1943) and “Since You Went Away” (1944) focused, respectively, on the trials of average American women, communities and families while exploring the very real fear that a loved one who went off to war might never return. The struggles of citizens in occupied countries were portrayed in such films as “Hangmen Also Die!” (1943) and “The Seventh Cross” (1944). Meanwhile, some of Hollywood’s top stars joined the military. 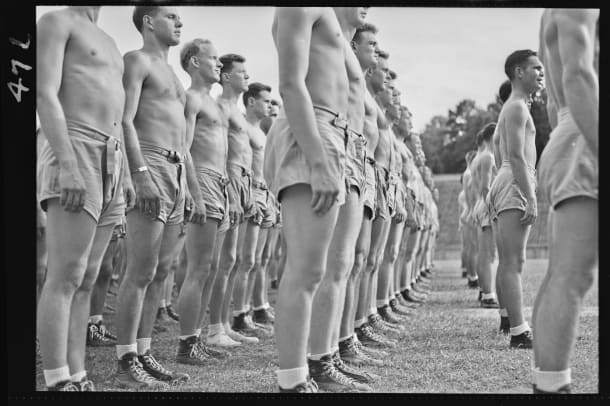 Many appeared in government-produced training films and morale-boosting short subjects. Others participated directly in the fighting. Clark Gable (1901-60), the beloved, Academy Award-winning actor, served as a tail-gunner with the U.S. Army Air Corps and flew combat missions over Germany. James Stewart (1908-97), another equally adored Oscar winner, had enlisted in the corps even before Pearl Harbor. 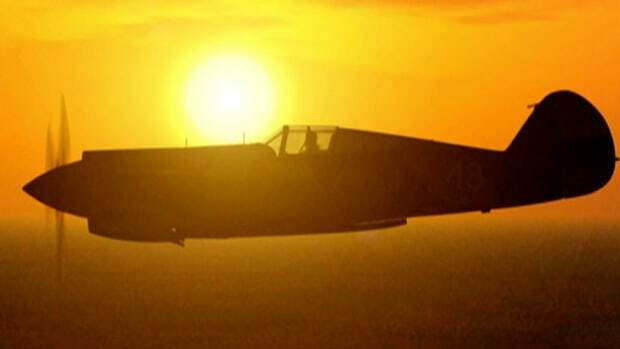 He eventually became a B-24 combat pilot and commander and also flew missions over Germany. Radio was the primary source of news and entertainment for most American households during the war, and as the conflict progressed, people grew increasingly dependent on radio for updates on the fighting overseas. They were riveted by the frontline reports from such legendary journalists as Edward R. Murrow (1908-65). Meanwhile, big bands, most famously the orchestra headed by Glenn Miller (1904-44), and entertainers such as Bob Hope (1903-2003) performed before thousands at military bases. These programs were aired directly on the radio to listeners from Maine to California. 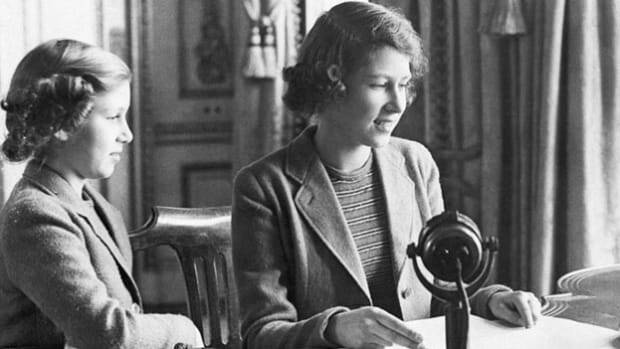 Dramatic radio programming increasingly featured war-related storylines. One of the most jarring was “Untitled” (1944), a production penned by writer Norman Corwin (1910-) and broadcast on the CBS radio network. “Untitled” traced the story of Hank Peters, a fictional American soldier who was killed in combat.